A professional Brush Set for Manga Studio, 24 natural media and concept tools! A brush set for Manga Studio 5 or Clip Studio Paint Pro/EX handcrafted for artists, designers, illustrators and doodlers. The whole set is designed to deliver fast performance and professional results. Strokes are captured from real media and fine tuned to work seamless with Celsys/Smithmicro software. 6 NEW additions! FREE for former purchasers! 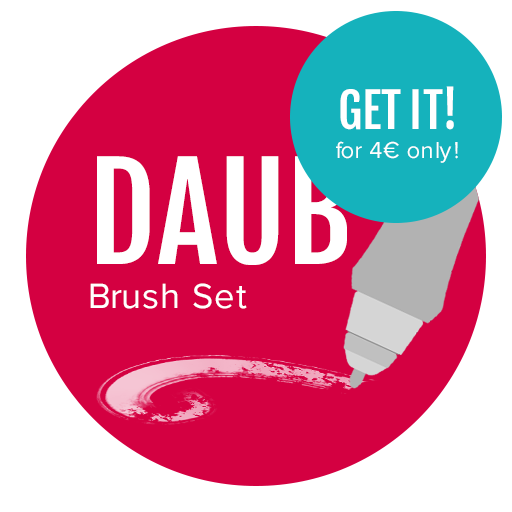 The set includes 24 fine tuned brushes: Oils, Pastels a Natural pencil and two terrific Watercolors for only 4 Euro! First 100 purchases will get 4 more tools! NOW 4 Tools above are included! Download Natural Pencil and Coarse Stroke for FREE! All brushes feature custom curve settings for pressure/tilt/rotation sensitive tablets, results are natural and responsive. Light pressure shows texture, high pressure gives more paint amount, slight pressure also gives little color bleeding/blending. Low Absorption Watercolor, with texture and paint amount controlled by custom curves. Concepts made using Clip Studio Paint 1.3.1 and DAUB set: Digital Flat Stroke for blocking areas and early stages, Coarse Stroke and Rough Spatula for texturing and refinements, and Detail Oil Brush for tiny details. First 100 purchases will get 4 more bonus tools! 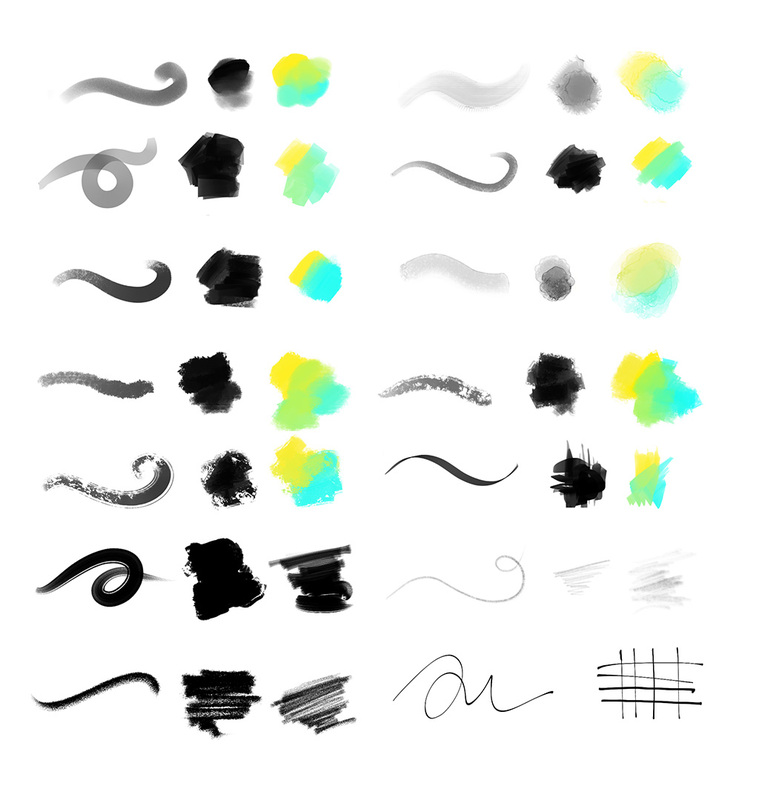 ← Manga Studio Brushes Update!